Ships tomorrow if you order in the next 19 hours 2 minutes. 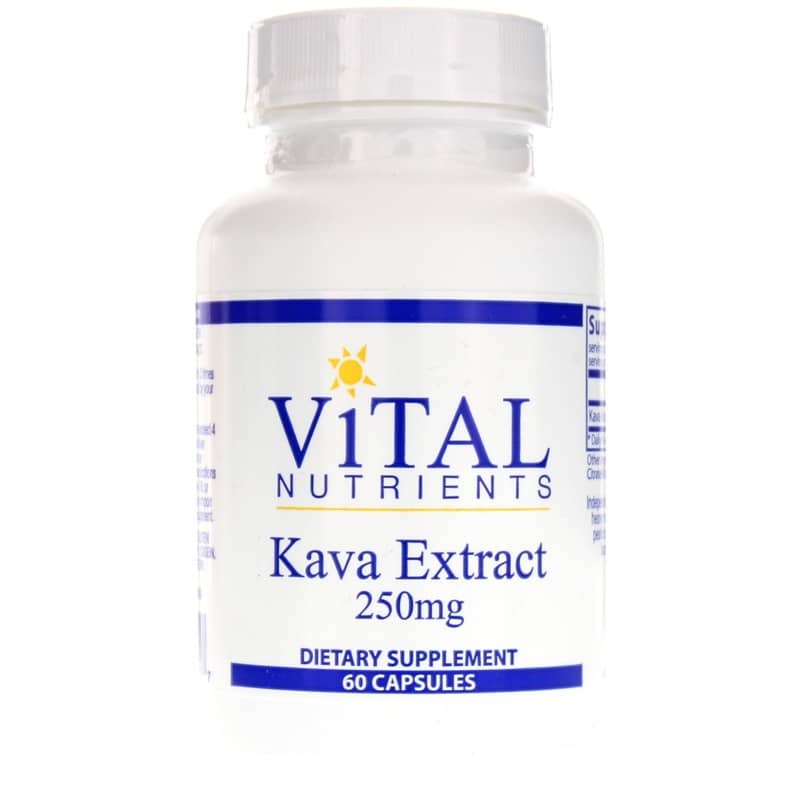 Kava Extract by Vital Nutrients is an herbal supplement that supports a sense of emotional well-being and relaxation in times of mild stress without creating sleepiness. Kava-lactones, the active ingredient, may relax the mind as well as the muscles. Other Ingredients: gelatin capsule, vitamin C, calcium citrate/malate, leucine and silica. Contains NO: coatings, binders, yeast, wheat, gluten, milk/dairy, corn protein, soy protein, eggs, sugar, hydrogenated oils, artificial coloring, artificial flavoring or preservatives. 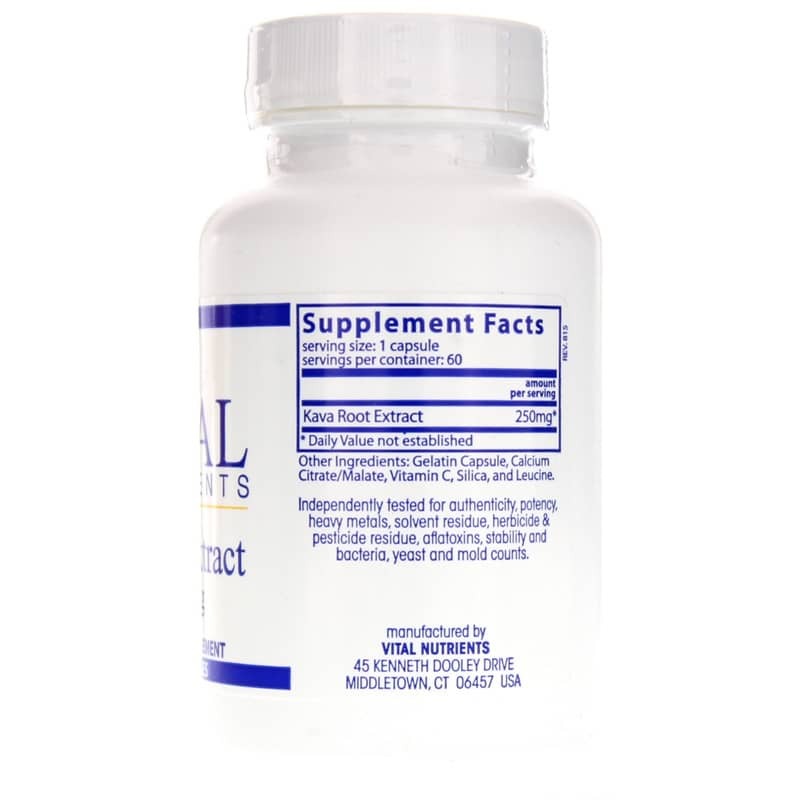 Adults: 1 or 2 capsules once or twice daily between meals, or as directed by a healthcare practitioner. Daily dosage should not exceed 4 capsules per day. 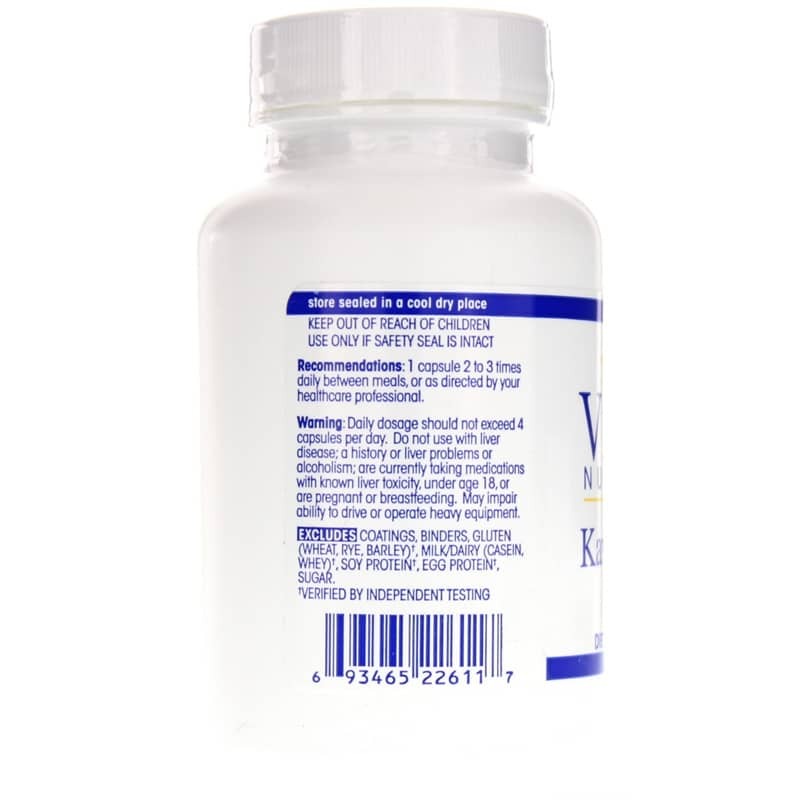 Do not use with liver disease; a history or liver problems or alcoholism; are currently taking medications with known liver toxicity, under age 18, or are pregnant or breastfeeding. May impair ability to drive or operate heavy equipment. Keep out of the reach of children.